In recent weeks, some opponents of the widely criticized Republican healthcare plan have started rebranding it wealthcare, given the mounting evidence that the plan would clearly benefit the wealthiest Americans and given them massive tax cuts. What has been overlooked is the way Trump has already been implementing his own massive wealthcare plan for Wall Street. Indeed, he’s been helping hedge funds profit from higher drug prices and tax dodging at the expense of ordinary Americans, including those who rely on the quality, affordable healthcare that Republicans will take away if their current bill passes. As a presidential candidate, Trump blasted the pharmaceutical and hedge fund industries, vowing to negotiate lower drug prices for consumers, while declaring that hedge funds were getting away with murder. Yet as President, Trump has increasingly opened his administration to executives from both industries, seeking their advice on special panels and has all but dropped any mention of the vigorous criticisms he levied during his campaign. This report analyzes the outsized influence hedge funds have amassed in the pharmaceutical industry, looking closely at patterns of price gouging and tax dodging at pharmaceutical firms with hedge fund backing, and examining the industry’s close ties to the Trump administration. Indeed, the pharmaceutical industry, and the hedge funds backing it, appear to have identified an opportunity for even greater profit in the Donald Trump presidency. After giving only tepid support during Trump’s campaign, big pharma went all in to court Trump, donating generously to his inauguration and throwing lavish parties in his honor. And four billionaire hedge fund managers deep into pharma investments donated a total of $5.2 million dollars to Trump, Senate Majority Leader Mitch McConnell and Speaker of the House Paul Ryan: the three men who’ll determine if there will be any new effort to bring down drug prices or just let them soar. As we show below, billionaire hedge fund managers are clearly convinced that Trump was lying to get votes when he claimed he’d get tough on drug prices. And the evidence suggests they are planning to get even richer from Trump’s wealthcare plan crafted for their benefit. In recent years, the pharmaceutical industry has become the go-to vehicle for hedge fund speculation. By wagering heavily on pharmaceutical companies and pursuing aggressive activist strategies, hedge funds have established themselves as an influential force shaping the direction of the industry. As they do so, they are promoting trends and practices that fuel hedge fund profits at a significant human cost. Manipulating finances to pursue unfair tax avoidance strategies. The results have been disastrous not only for patients in need of necessary, life-saving medications, but also for taxpayers who end up picking up the tab on both ends: for the public research that leads to new drug discoveries, but also for the private profits that result from drug price increases and tax dodging. It was a particularly extreme example of a larger systemic problem: hedge fund managers are in the driver’s seat in the pharmaceutical industry, and a hedge fund approach to profit maximization has taken hold with Big Pharma. “We can find nothing to explain these dramatic price increases beyond Valeant’s desire to take advantage of monopoly drugs,” she said. In short, Big Pharma is operating like a giant hedge fund. The pharmaceutical industry – and the hedge funds backing it – appear to have identified an opportunity for even greater profit in the Donald Trump presidency. As a candidate Trump blasted the pharmaceutical and hedge fund industries, vowing to negotiate lower drug prices for consumers, while declaring that hedge funds were getting away with murder. Yet as President, Trump has done nothing serious on drug prices. And he has opened his administration to executives from both industries, seeking their advice on special panels. He has all but dropped any mention of the vigorous criticisms he levied during his campaign. 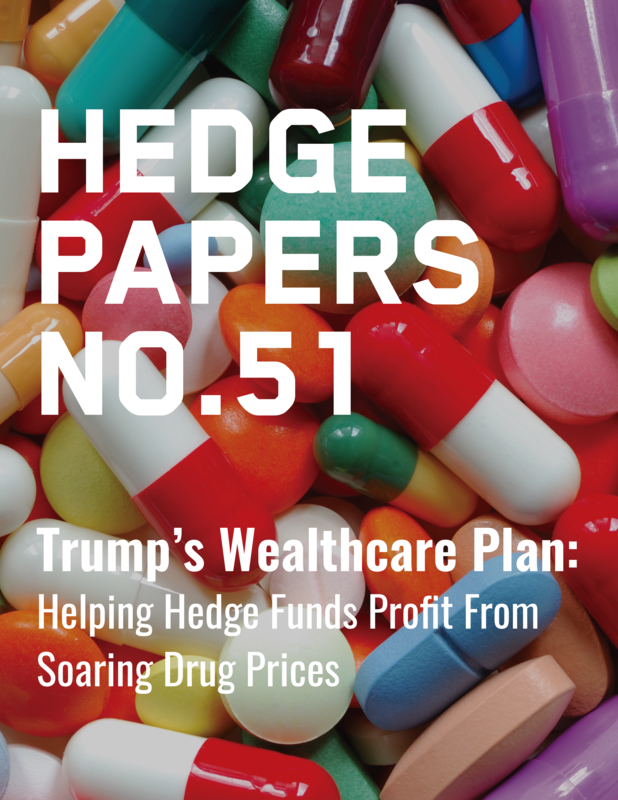 This report examines the outsized influence hedge funds have amassed in the pharmaceutical industry, analyzes patterns of price gouging and tax dodging at pharmaceutical firms with hedge fund backing, and notes the industry’s ties to the Trump administration. Hedge funds can quickly take control of pharmaceutical companies by buying large “activist” stakes. Hedge funds have exerted influence over the companies they back, choosing board members and executives. Even with smaller stakes in companies, hedge funds play a major role in pushing short-term-profit-centered corporate strategies. Hedge fund-backed pharmaceutical companies have charged exorbitant prices for drugs they control. Hedge funds are profiting from the opioid epidemic through investments in companies that are manufacturing addictive narcotics as well as drugs to reverse overdoses and addiction treatment centers. Hedge fund-backed pharmaceutical companies dodge taxes by setting up “corporate inversions” and merging with foreign competitors in order to avoid paying US taxes. Over the last two electoral cycles, four of the hedge fund billionaires most deeply implicated in drug price spikes have given huge donations to campaigns, committees, PACs and Super PACs associated with Donald Trump, Mitch McConnell and Paul Ryan. Hedge fund managers have been vocal in their enthusiasm for the pharmaceutical industry, where inelastic demand for medication imposes virtually no limits on what companies can charge for drugs on which they hold patents. In plain language, there’s no limit on drug prices – and apparently no limit on the greed of these huge corporations and hedge funds. Favorite targets for hedge fund investment have included companies like Valeant, Gilead, and Baxalta (now part of Shire), all of which have drawn controversy for raising prices for medicines treating conditions ranging from common migraines to childhood leukemia, sometimes by as much as 2500%. This came after a Wall Street Journal story in January found that Allergan had already boosted prices an average of 9.1% for more than 40 of its brand name drugs that year. Icahn began selling off his stake in Allergan in late 2016 and has since sold off all his shares. 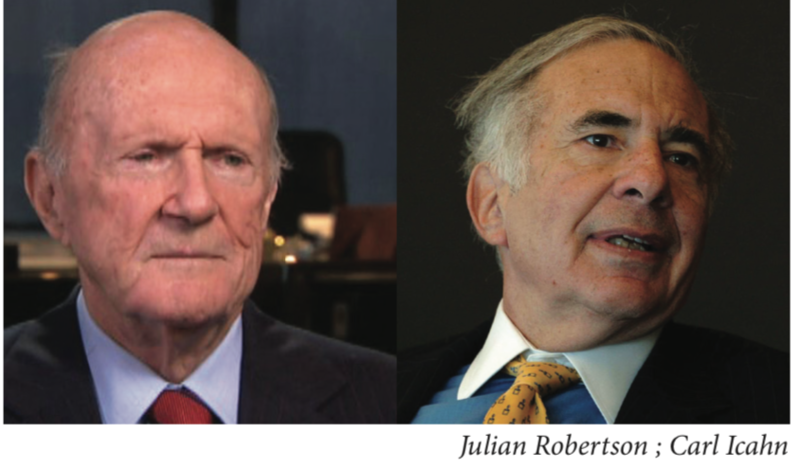 Similarly, Julian Robertson of the hedge fund Tiger Management described Gilead Sciences, a company in which he was heavily invested, as “fabulous” and a “pharmaceutical steal” in June 2014 after Gilead announced a massive price increase for the Hepatitis C drug Sovaldi. In its 2016 annual report, Gilead noted that sales of antiviral and liver disease drugs – including Sovaldi and another high-priced Hepatitis C drug Harvoni – totaled 91% of the company’s total revenues that year, with sales of $27.7 billion. 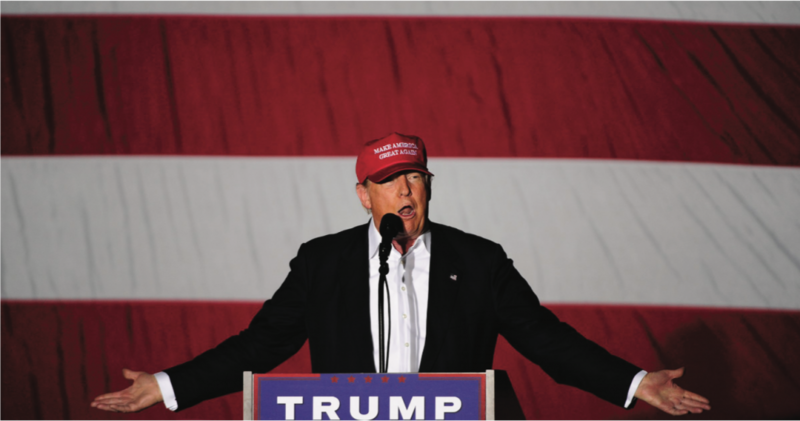 Since the election of Donald Trump, hedge funds have stepped up their pharmaceutical industry investments, betting that a Trump White House will be good for business. Billionaire hedge fund managers are apparently convinced that Trump was lying to get votes when he claimed he’d get tough on drug prices. And the evidence suggests they are right. From the third quarter of 2016 through the first quarter of 2017, David Tepper’s fund Appaloosa Management more than doubled its stake in Allergan from 1.2 million shares to 2.9 million shares. According to CNBC, Jana Partners added six new companies in the healthcare sector to its portfolio since Trump’s election, and increased its stake by at least 50% in 11 others. Despite Trump’s early promises to negotiate with drug companies to lower prices, since his election the pharmaceutical industry has cultivated a close relationship with him, as described below. 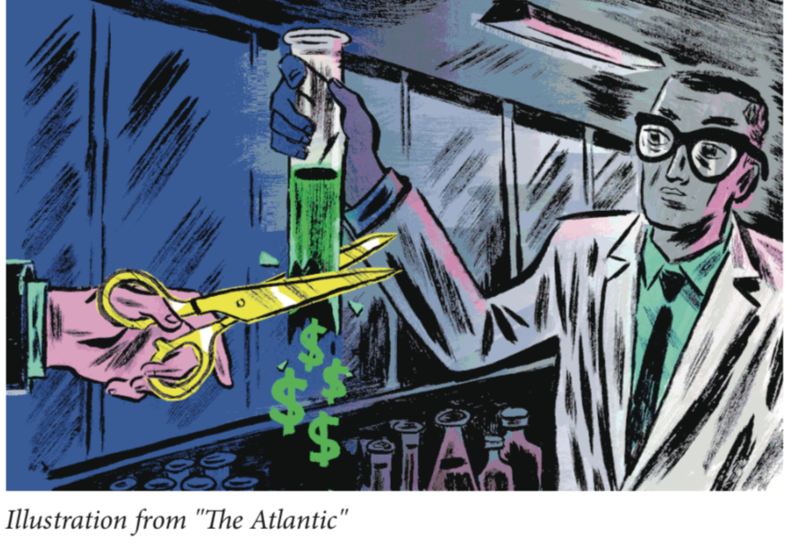 Hedge funds see the pharmaceutical industry as such a sure bet that some have begun setting up their own expert research panels staffed with medical consultants to give them an edge in investment decisions. At some hedge funds, these researchers have risen to top positions. One fund, OrbiMed Advisors, which claims to be the largest dedicated investment healthcare firm in the world, has a doctor of molecular biology among its six general partners and many other medical doctors and biologists on its investment team.  Larger hedge funds without a primary interest in pharmaceuticals have also begun to do this, including the firm Third Point LLC run by Daniel Loeb, which created a Scientific and Medical Advisory Board (“SMAB”) led by an oncologist when it was heavily invested in the company Amgen. Both OrbiMed and Third Point stand to profit from extreme drug prices at the pharmaceutical companies in which they’re invested. Since Isaly launched his healthcare-focused fund OrbiMed in 1989, it claims to have grown into the largest dedicated healthcare investment firm in the world. Isaly himself puts a premium on his abilities as a short seller, and he has seen a “healthy environment” for healthcare stocks since 2010, around the time that the consolidation trend began. Isaly has placed bets on a number of companies that charge extreme prices for life-saving drugs, including Alexion, AbbVie, and Gilead. 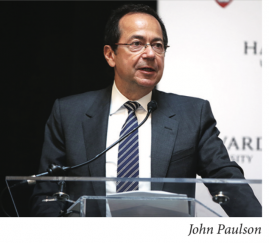 Paulson & Co founder John Paulson is aggressively betting on the pharmaceutical industry, even as other hedge funds back away from companies like Valeant. A major booster of Valeant before and after its failed attempt to acquire Allergan, three of the top companies in which he is invested have all just engaged in major mergers, including Allergan, Teva, and Shire. His deep presence in the pharmaceutical industry indicates that Paulson foresees more mergers in the future. Third Point’s investment in Baxter came after Loeb reportedly saw an opportunity following Baxter’s spinoff of its biopharmaceutical division, Baxalta. Loeb also owns a significant portion of Baxalta’s stock, and because he exerts so much control over Baxter’s board, he also has significant authority over Baxalta, which just merged with the pharmaceutical company Shire and is expected to boost the value of Loeb’s stake in the company. Hedge funds targeting pharmaceutical companies have a clear playbook for obtaining big profits: using shareholder activist techniques – or the threat of such techniques – to demand big short-term profits and shareholder payouts that make hedge fund managers rich at the expense of people who depend on medications. Hedge funds have manipulated corporate boards, pressured or thrown out non-compliant CEOs, and gamed the systems of regulation and copyright for medications in a search for explosive profits. Some hedge fund managers are alleged to have engaged in unethical and illegal insider trading to profit from pharmaceuticals. And a number of hedge-fund-driven Big Pharma deals have utilized the widely criticized tax dodging technique of “corporate inversions” to boost corporate and hedge fund profits. By buying up large stakes in pharmaceutical companies, hedge funds can amass power and drive the firm’s’ decision making, prioritizing profits for investors above all else. This strategy, known as “activist investing,” was pioneered in the 1980s, and today returns on these aggressive strategies generally outpace gains for the hedge fund industry as a whole, according to a Los Angeles Times article citing Hedge Fund Research Inc. In 2014, Pershing Square Capital Management CEO Bill Ackman, in conjunction with Valeant Pharmaceuticals, made an aggressive play to take over rival Allergan. Ackman acquired a 9.7% stake in Allergan and worked closely with Valeant, whose CEO was friends with a recently hired advisor at Pershing Square. The $53 billion hostile takeover eventually fell through when Allergan sold itself to Ireland-based Actavis, though Ackman still made a $2.6 billion profit. When hedge funds take a stake in pharmaceutical companies they can play a major role in advancing corporate strategies focused on short-term profits. This holds even when a hedge fund has a smaller, non-activist, position in a company. One short-term strategy is cutting American jobs. Before his Baxter bet, Daniel Loeb was a major investor in the company Amgen, which he demanded be split in two. Amgen resisted this demand, but bowed to pressure to make more money for shareholders by eliminating more than 1,000 jobs. Another short-term strategy is corporate mergers and acquisitions, which often result in large-scale job loss and monopolistic price increases. 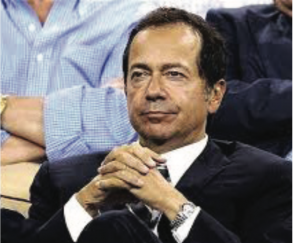 John Paulson, the CEO of Paulson & Company also advocated the Allergan-Valeant merger proposal. During Ackman and Valeant’s takeover attempt, Paulson bought more than six million shares of Allergan and voiced confidence in the proposed acquisition. “[Valeant CEO Mike Pearson has] done this over and over, very successfully, and I don’t think anyone has created more value for shareholders in the recent past than Valeant has, in the pharmaceutical sector,” Paulson told CNBC’s Melissa Lee. 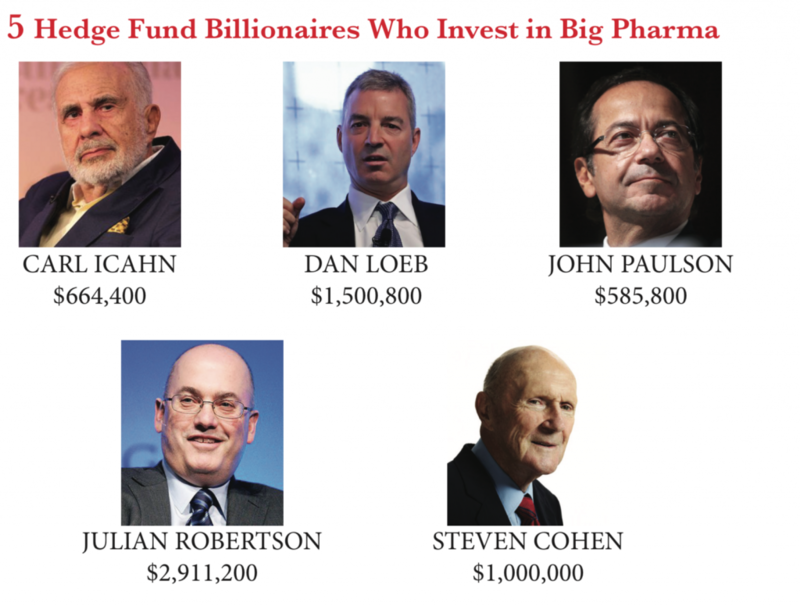 Activist hedge fund investors exert tremendous influence over the boards and executive leadership of the pharmaceutical companies they target. The ability to remove or install new directors and CEOs gives investors considerable sway over a company’s strategy. In the pharmaceutical industry, hedge funds have exercised their influence to install new leadership at several firms associated with tax inversions and high-priced drugs. 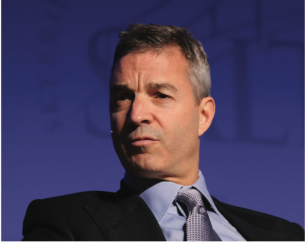 As mentioned above, when Daniel Loeb’s fund Third Point took an activist position in Baxter International, Loeb pushed the company to give him two seats on the board and also installed a new CEO. Less than two months after Third Point disclosed its stake in Baxter, the company agreed to appoint Third Point partner Munib Islam to its board. Another part of the agreement Baxter reached with Third Point essentially allowed Loeb to choose Baxter’s new CEO, José Almeida. Under Loeb’s control Baxter saw a restructuring that included mass layoffs and plant closures. 1,400 jobs were cut in the end of 2015, just after Loeb’s acquisition of the company. 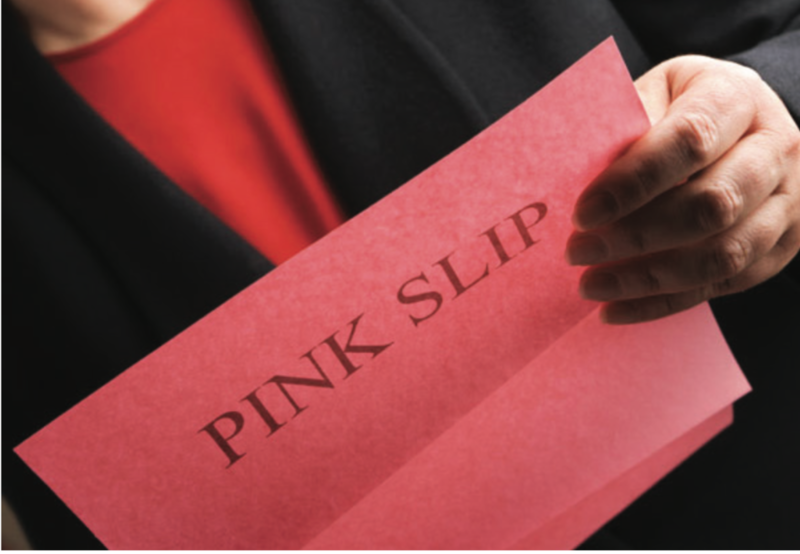 Once Loeb’s handpicked CEO took over in January of 2016, even more layoffs followed. Baxter employed about 2,000 fewer employees by the end of Almeida’s first year according to the company’s annual filings with the Securities and Exchange Commission. All of these layoffs of course only mean more profit for Loeb. Barron’s estimated that between mass layoffs and a new CEO, Baxter’s stock value could increase 40% over 4 years. 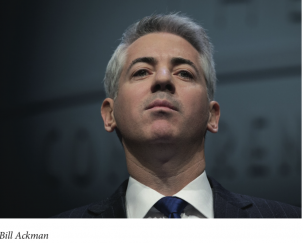 BILL Ackman executed his plan to take over Allergan in close partnership with the leadership of Valeant Pharmaceuticals, whose CEO was a friend of Bill Doyle, a Pershing Square advisor and longtime friend of Ackman’s. After the Valeant deal fell through, a major investment in Allergan by the notorious corporate raider Carl Icahn, usually cause for concern for a company’s board and executives, served as the ultimate stamp of approval for CEO Brent Saunders. Under Saunders’ leadership Allergan’s stock had fallen 25% in the wake of the firm’s failed merger with Pfizer. When he announced his investment, Icahn also declared his support for Saunders, the former CEO of the Icahn investment Forest Labs. Saunders became CEO of Allergan when it merged with Actavis, which had previously acquired Forest Labs. Another short-term strategy that activist investors use to extract value from the companies they target is stock buybacks. Buybacks raise the price of a stock by using corporate revenue to purchase outstanding shares from other shareholders. This tactic has been criticized because, while it creates wealth for a company’s shareholders, money used for buybacks could be recapitalized into building the company. In the case of pharmaceutical companies, buybacks have been criticized for coming at the expense of research and development, which is often cited by the industry as the primary driver of high drug prices. In this way, stock buybacks actually contribute to the spike in drug prices witnessed in recent years. A 2014 article in the Harvard Business Review drew attention to the issue of stock buybacks in the pharmaceutical industry, using Pfizer as an example. According to the article, “from 2003 through 2012, Pfizer funneled an amount equal to 71% of its profits into buybacks, and an amount equal to 75% of its profits into dividends,” belying the company’s claim that profits from high drug prices were primarily due to its research and development activities. In 2016, Pfizer, which has been an acquisition target of hedge-fund backed firms, and Gilead, which has been a top pharmaceutical stock for hedge funds as detailed elsewhere in this report, were two of the 20 companies that bought back the most stock in 2016. Another firm, Avadel Pharmaceuticals, which is backed by a number of hedge funds, including Deerfield Management, announced a stock buyback in March 2017 worth $25 million – 16% of the small company’s cash on hand. Another way that hedge funds have exerted power over the pharmaceutical industry is through stock-shorting strategies. Hedge funds have sought to invalidate drug patents using a 2011 law meant to curb the abuses of “patent trolls” in order to destroy the value of drug companies in which they have taken a short position, i.e. companies that the hedge funds are betting against. 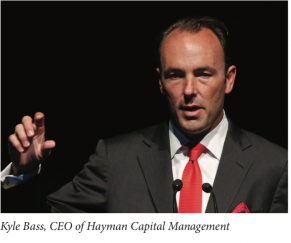 Kyle Bass, the CEO of Hayman Capital Management, has filed more than three dozen inter parties review (IPR) petitions with the US Patent and Trademark Office challenging the validity of patents for drugs manufactured by companies he has shorted. Bass has targeted several companies with this tactic, including Horizon Pharmaceuticals, Shire, and Celgene, according to reports by Hedge Clippers and Business Insider. While most of Bass’s patent challenges were thrown out and he has had to return hundreds of millions of dollars he raised from investors for the campaign, he recently won the right to challenge four patents held by Acorda Therapeutics. In industries where research and development plays an especially important role, such as the pharmaceutical industry, an information advantage confers a significantly greater benefit. Knowledge about the outcomes of drug trials or regulatory approvals can mean millions of dollars of profit for investors. Hedge funds have positioned themselves as the ultimate pharmaceutical insiders, assembling expert panels to conduct research on new and potential drugs. Some medical doctors have even applied their industry knowledge to make gains in the finance business, starting their own pharmaceutical-focused hedge funds. 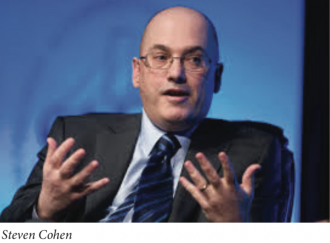 The premium on insider knowledge has led to some prosecutions of pharmaceutical trading hedge fund managers, most notably at Steven Cohen’s SAC Capital Management. SAC was the target of the largest insider-trading bust in the history of the Securities and Exchange Commission and subject to $1.8 billion in fines after manager Mathew Martoma illegally acted on a tip regarding problems with a potential Alzheimer’s drug to short the stocks of the companies developing it. More recently, Visium Asset Management, the top hedge fund owner of Celator, a small company whose stock rose dramatically following successful trials of a leukemia drug, is under investigation for insider trading by the SEC. The Visium manager at the center of that investigation, Sanjay Valvani, committed suicide after he was charged with insider trading. 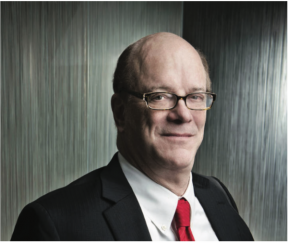 Steven Cohen, who transformed SAC into Point72 Asset Management, a “family controlled investment company,” also bought a large stake in Celator just before its stock took off. As a candidate Trump campaigned vigorously on the promise to negotiate with pharmaceutical companies to reduce the cost of prescription drugs. Will Trump keep his promises on cutting the price of drugs? It sure doesn’t look like it – and huge cash contributions seem to be one reason why. As soon as Trump’s position in the White House was secured, the pharmaceutical industry rushed to court the administration – with cash. Pharma giants like Pfizer and Amgen poured six and seven-figure contributions into the Trump Inaugural Committee. Pfizer’s $1 million dollar donation secured, among other goodies, tickets to a “candlelight” dinner, with appearances by the President and First Lady and Vice President Mike Pence and a special luncheon with the “ladies of the first families”. Pharma didn’t just show up to donate, they also came to party. Two of the largest inauguration parties were sponsored in part by Pharmaceutical giants including the Garden State Inaugural Gala, sponsored by Bristol-Myers Squibb, Novo Nordisk, and Mallinckrodt Pharmaceuticals, and The Inaugural Heartland Ball, sponsored by Abbott Laboratories. Not only did Trump take Big Pharma donations despite his campaign rhetoric, he also decided to start taking their advice. 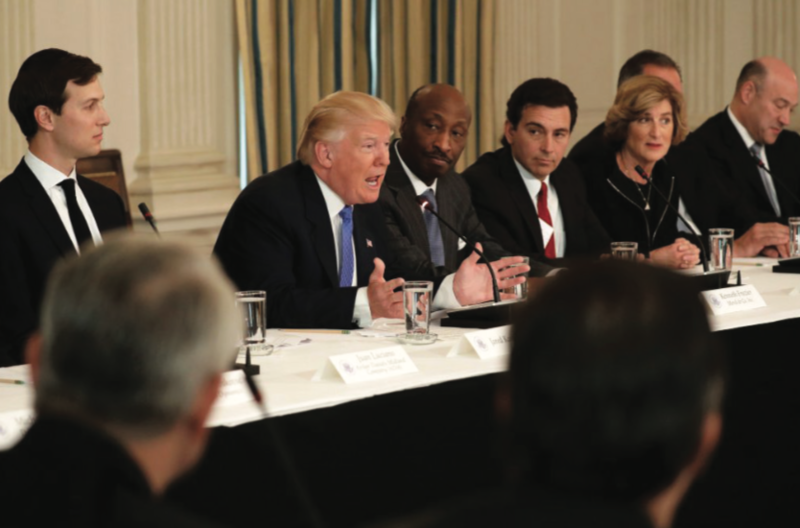 On January 27th, Trump announced the formation of the Manufacturing Jobs Initiative, an advisory panel that included Merck CEO Ken Frazier and Johnson & Johnson CEO Alex Gorksy. Merck director Wendell Weeks also sits on the initiative. On January 31st Trump met with representatives from Johnson & Johnson, Merck, Eli Lilly, Novartis, and Amgen, among others. The meeting left the CEO of drug manufacturer Eli Lilly confident that the Trump administration would be a friend to the pharmaceutical industry as a whole. Eli Lilly has reason to be confident in a pharma-friendly administration – it already has a friend in the White House. 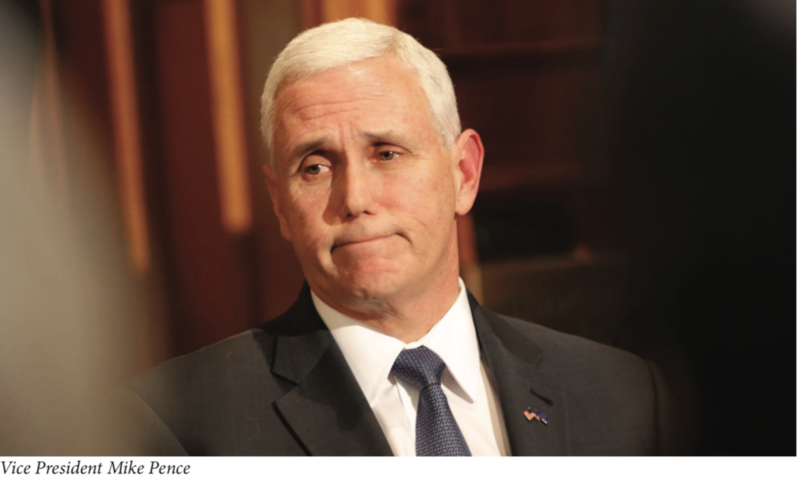 The pharmaceutical giant, best known for its antidepressant Prozac, is based in Vice President Mike Pence’s home state of Indiana, where he served as Governor. Eli Lilly was Pence’s third highest career donor from 2002 to 2012, giving over $64,000 –, $50,000 of which came directly from the corporation’s PAC. . In total, the pharmaceutical industry gave Pence over $133,000 before his White House run with Trump. Deepening the Pharma ties in his cabinet, Trump named Rep. Tom Price Secretary of Health and Human Services. Price, a former member of the Congressional Health Care Caucus and the House Committee on Ways and Means, has a history of ethical lapses around health-related stock trading. He took advantage of a private stock offering, led by fellow Rep Chris Collins, in Innate Immunotherapies at deeply discounted rates. Price later supported the 21st Century Cures Act, which will benefit Innate’s efforts to bring its new multiple sclerosis drug to U.S. markets, where it can glean higher prices. This wasn’t Price’s first, or baldest, effort to push legislation that would be favorable to his financial investments. In 2016 Price purchased stocks in manufacturer of artificial hips and knees and then one week later introduced the “HIP Act,” which delayed regulations that would have impacted the corporation. In total the Wall Street Journal estimated that Price traded over $300,000 in health-related stocks while supporting and pursuing legislation that would directly benefit those investments. To top off his pharma-connected cabinet, Trump placed a former top pharmaceutical consultant at the head of the Food and Drug Administration. 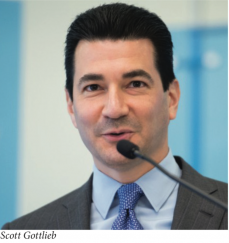 Prior to his post as FDA Commissioner, Scott Gottlieb was paid millions by major pharmaceutical companies such as Bristol-Myers Squibb, GlaxoSmithKlein, and Vertex Pharmaceuticals. He has served on the boards of eight different pharmaceutical companies and was sitting on the product investment board of GlaxoSmithKlein at the time of his nomination hearing. Now Gottlieb is in a position to pay Big Pharma back by gutting regulations and speeding up the drug approval process. Trump booster and hedge fund billionaire John Paulson enjoys easy access to the President as a member of his economic advisory team – and he’s made big bucks jacking up the price of lifesaving medications. Paulson was a major donor during Trump’s presidential campaign, donating at least $330,000 combined to Trump’s presidential effort, the Republican National Committee and the National Republican Congressional Committee. Paulson also hosted a lavish campaign fundraiser at La Cirque in Midtown Manhattan. Paulson & Co is a major pharmaceutical industry investor, with drug company stocks like Mylan and Allergan making up 47% of its total portfolio. Paulson has been a major investor in Epi-Pen manufacturer Mylan since 2010, just as Mylan began its infamous price hikes. When Mylan, which enjoys a near-monopoly for epinephrine auto-injection devices, dramatically jacked up the price of its crucial medication between 2013 and 2014, Paulson & Co raked in a $250 million windfall, a 66% profit on its bet. Though he has not taken an outwardly activist-investor stance, Paulson’s looming presence over the company has certainly been a factor in the decision to maximize profits at the expense of the public. When hedge funds involve themselves in the operations of pharmaceutical companies, the pharmaceutical companies begin to look like hedge funds themselves – focused only on profits rather than healthcare and the patients that they serve. And these profits come at massive public cost, both in terms of taxpayer dollars and in human lives. Pharmaceutical companies with major hedge fund backing have been criticized over the eye-popping prices they charge for their drugs. Others have come under the microscope for feeding the epidemic of opioid addiction, which has led to drug overdose deaths exceeding those due to guns and car crashes. While some companies’ drugs have been high-priced for as long as they’ve been on the market, others have hiked prices upon obtaining the license to sell certain drugs. A recent Wall Street Journal investigation found that price increases of the 30 top-selling drugs drove growth in revenue at a nearly 400% greater rate than growth in demand. Aside from Turing Pharmaceutical raising the price of its anti-parasitic drug Daraprim, the most notorious recent pharmaceutical company price hike is Mylan’s decision to more than quadruple the cost of its EpiPen treatment for allergic reactions. EpiPen, which sold in a two-pack for $57 ten years ago, now costs around $600. Mylan CEO Heather Bresch was called in to testify before the House Oversight and Government Reform Committee in September 2016 over the price hike. Bresch denied that the increase was meant to generate more profit for the company, though the company’s revenue has exploded, hitting $11 billion last year. In May 2017, the Inspector General of the Department of Health and Human Services revealed that, beyond just hiking prices on the EpiPen, Mylan overbilled Medicaid by $1.27 billion for the drug between 2006 and 2016. The New York Times revealed Mylan execs have a vulgar and callous attitude towards criticism of the company’s profiteering from sickness. The bulk of the EpiPen price hike and Mylan’s Medicaid overbilling occurred under the watch of John Paulson, who first boosted his stake in Mylan in 2010 when the EpiPen cost $124. As of March 2017, Paulson & Co had a staggering $674 million dollars invested in the firm. Another firm that Paulson has targeted, Valeant Pharmaceuticals, was also subject to Congressional inquiry over the prices of its drugs. According to documents obtained by the House Committee on Oversight and Government Reform, Valeant purchased the drugs Isuprel and Nitropress in February 2015 and raised the prices of the heart medications by 525% and 212% overnight. 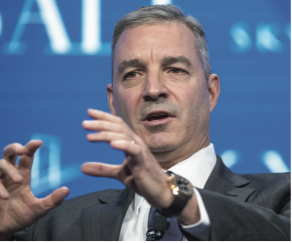 Valeant has also been backed by Pershing Square and SAC Capital. Pershing Square CEO Bill Ackman, who had been pushing a merger between Valeant and Allergan where he was a large shareholder, began buying Valeant stock in early 2015. Ackman had a close relationship with Valeant CEO Michael Pearson, who was a longtime time friend of Pershing Square manager Bill Doyle. And the hedge fund drug pricing hits just keep coming. OrbiMed Advisors, a healthcare-focused fund lead by Samuel Isaly, invests in several companies behind some of the most expensive drugs in the world, including Alexion, Bristol-Myers Squibb, and AbbVie. Alexion, whose stock makes up more than 5% of the OrbiMed portfolio, produces Soliris, which may be the world’s most expensive drug at $700,000 per year. During a call with shareholders in April, Alexion called Soliris its “core business,” and declared plans to increase its market share around the world. Stock in Bristol-Myers Squibb, whose melanoma treatment cocktail Opdivo and Yervoy costs $256,000 per year, makes up 1.18% OrbiMed’s portfolio and AbbVie, whose leukemia drug Imbruvica has a wholesale list price of $116,000 per year, makes up 2.3% of OrbiMed’s portfolio. Baxalta, a subsidiary spun off from the company Baxter, offers a branded chemotherapy drug for acute lymphocytic leukemia (ALL) called Oncaspar. Oncaspar is part of a cocktail of chemotherapy drugs administered as a first line of defense against the disease. Baxter purchased the rights to Oncaspar from the company Sigma-Tau Finanziaria S.p.A. in the summer of 2015 and added it to Baxalta’s portfolio. Baxalta immediately raised its price. 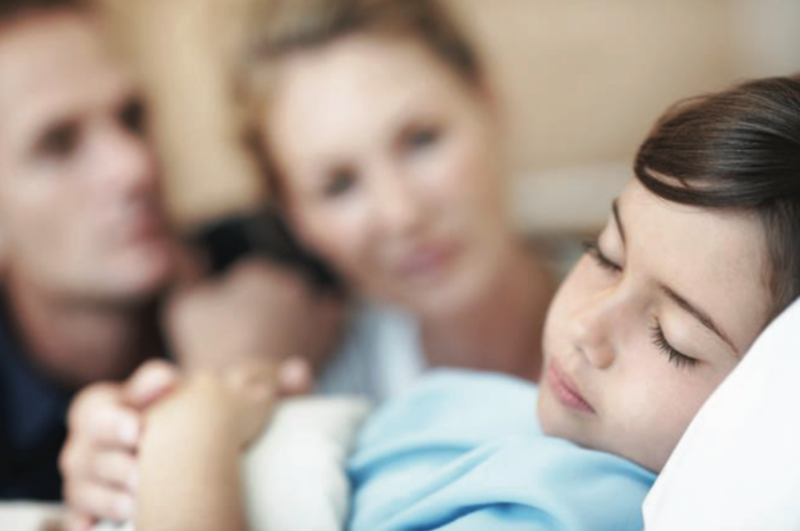 Acute lymphocytic leukemia (ALL) accounts for 75%–80% of all childhood leukemias, which are diagnosed in about about 2,700 children annually. ALL affects white blood cells. Symptoms are similar to a normal infection, including fever, fatigue, and pain in the bones and joints, but like all cancers, the likelihood of death grows the further that the cancer spreads. The vast majority of children who receive proper treatment early enough in their diagnosis can survive – but they need to be able to afford the medication that can keep them alive. This is apparently the sort of situation – a life-and-death need for medication – that stimulates the endless greed of billionaire hedge fund managers. Loeb purchased a large new stake in the company, and installed two new directors and a new CEO. By the first quarter of 2016, Baxter comprised his 20.38% of Loeb’s portfolio, allowing him influence over the Baxalta subsidiary as well. After Baxalta acquired Oncaspar from Sigma-Tau Finanziaria, the price of one injection of Oncaspar skyrocketed 125%, according to Bloomberg. According to an April 2016 report by America’s Health Insurance Plans (AHIP), Oncaspar was by far the most expensive treatment for leukemia of those that it measured. In the last quarter of 2015, sales of Oncaspar brought in $53 million in revenue for the company. Several of the hedge funds and pharmaceutical companies implicated in price hikes for lifesaving drugs are also deriving profits from the epidemic of opioid addiction decimating American communities. Deerfield Management, a healthcare-focused fund managed by James Flynn, is a major shareholder in a number of pharmaceutical companies that have been investigated over their sale of opioid narcotics. In March 2015, Deerfield and Pharmakon Advisors extended a $575 million credit facility to Depomed to assist the company with its deal to acquire the US rights to the drug Nucynta, an opioid comparable to oxycodone. Deerfield provided $375 million of the total $575 million facility. Depomed was named in an investigation launched by Missouri Senator Claire McCaskill in March 2017. Another Deerfield holding, Mylan, which made up 3.07% of the fund’s holdings as of March 31, 2017, was also named in McCaskill’s investigation as one of the top five producers of opioid drugs in the United States. 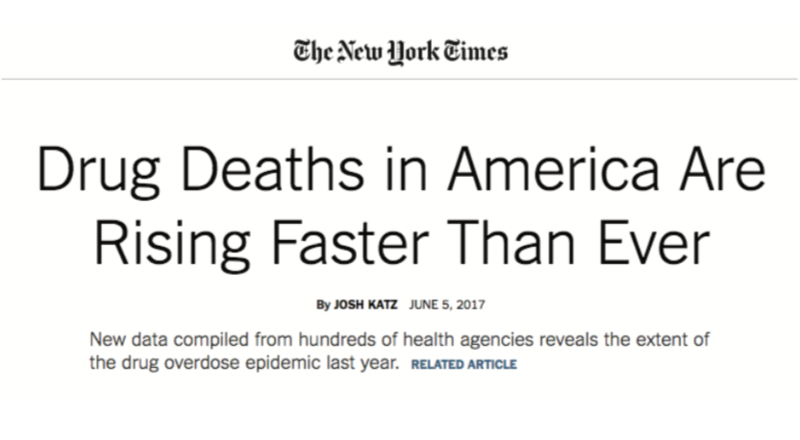 Mylan manufactures generic fentanyl and morphine as well as generic naloxone, which is used to reverse opioid overdoses. Deerfield also invests in Mallinckrodt, which settled with the US Department of Justice and Drug Enforcement Administration in April 2017 over investigations into the company’s oversight of orders of the narcotics it manufactures. Deerfield is the 8th largest owner of Mallinckrodt, with 728,949 shares worth $32.5 million. Deerfield is seeking profit from treating addiction in addition to selling the drugs that people are addicted to. As of March 31, 2017, Deerfield owned an 8.3% stake in AAC Holdings, the company that operates addiction treatment centers under the name American Addiction Centers, worth $16.9 million. In a contract dispute at its Sunrise House facility in Lafayette, New Jersey, AAC locked out workers, forcing the people who were being treated there to get treatment elsewhere. Sam Isaly’s Orbimed Advisors and John Paulson’s Paulson & Co are also invested in numerous companies implicated in the opioid epidemic. Orbimed owns an 8.4% stake in Insys Therapeutics, an Arizona-based pharmaceutical company whose main product is Subsys, an oral-spray fentanyl preparation which has been at the center of a scandal that has seen six top Insys executives – including its former CEO – arrested for conspiring to bribe doctors to prescribe the drug. In the wake of the bribery scandal, Insys is seeking to develop new products to profit from treating the epidemic. Orbimed and Paulson & Co are major investors in Allergan, which produces generic opioids as well as the name-brand narcotics Kadian and Norco. Allergan is one of the five companies being sued by the state of Ohio over their contribution to the addiction epidemic. Paulson & Co also holds considerable shares in Mylan, as described above, which produces naloxone, fentanyl, and generic morphine as described above; Teva, which makes the name-brand opioids Actiq and Fentora; and Mallinckrodt. Another pattern associated with hedge fund involvement in pharmaceutical companies is through corporate inversions, where an American company accedes to an acquisition by another, often smaller firm headquartered in a foreign country — in order to dodge American taxes. Healthcare industry mergers and acquisitions were valued at a record $400 billion in 2015, and are expected to rise even higher, according a report from the PwC Health Research Institute. Baxalta performed a tax inversion in 2016 by merging with Ireland-based Shire while Baxalta’s parent company Baxter was under the leadership of Daniel Loeb. In January, Shire CEO Flemming Ornskov told Bloomberg that the deal would result in $500 million in “cost synergies…revenue synergies…[and] tax synergies,” and that a core focus in planning the deal was its tax effect on Baxalta’s shareholders. The combined company will specialize in rare diseases and is estimated to bring in $20 billion in 2020, with 65% coming from rare-disease treatments. Through aggressive buy-outs culminating with a 2010 merger with the Canadian company Biovail, Valeant Pharmaceuticals has obtained the lowest tax rate of any pharmaceutical company in the world, less than five percent. When he was advocating a merger of Valeant and Allergan, Pershing Square’s Bill Ackman pushed it as a way for Allergan to lower its tax rate. “Valeant is a Canadian company, which has a much lower tax rate, and Allergan as a standalone business can achieve that tax rate. You know, benefit,” Ackman told CNBC. As it fought off Ackman’s 2014 attempt to force a merger with Valeant, Allergan opted instead to sell itself to Actavis, also headquartered in Ireland, in a corporate inversion that the Wall Street Journal estimated would reduce Allergan’s tax bill by $240 to $370 million. Actavis itself had been recently domiciled in the United States before a 2013 inversion with Ireland’s Warner Chilcott PLC. This year, Allergan announced a plan to merge its generic pharmaceuticals business with Teva Pharmaceuticals, based in Israel and backed by Paulson & Co and Tiger Management among other hedge funds. John Paulson threw his financial weight behind the Teva and Allergan merger after Mylan, a generic drug company in which he was heavily invested, failed to consummate a merger with Teva, which had been aggressively pursuing Mylan. After the expected deal is complete, only three pharmaceutical companies – Mylan, Novartis/Sandoz, and Teva/Actavis (the generics division of Allergan) – will control 40% of the market for generic drugs.